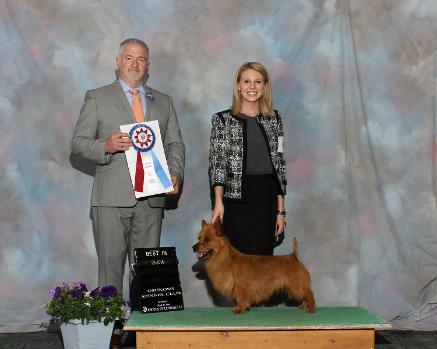 A huge thank you to the Terrier Group Judge Gloria Geringer and Best in Show Judge Guy Jeavons we can't begin to thank themenough. 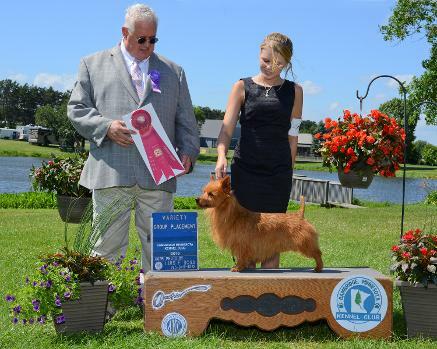 What an honor to be recognized in this way by such distinguished AKC Terrier Judges. 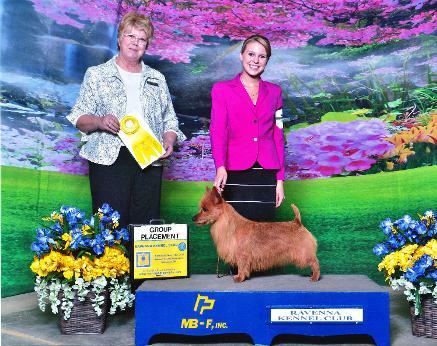 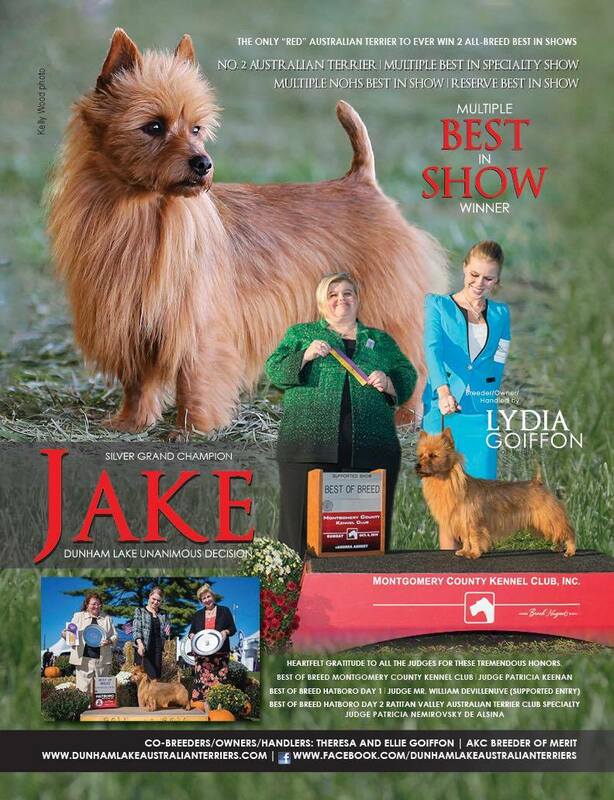 Best of Breed MBIS RBIS MBISS GCHS Dunham Lake Unanimous Decision "Jake" Shown by his breeder/owner/handler Lydia Goiffon. 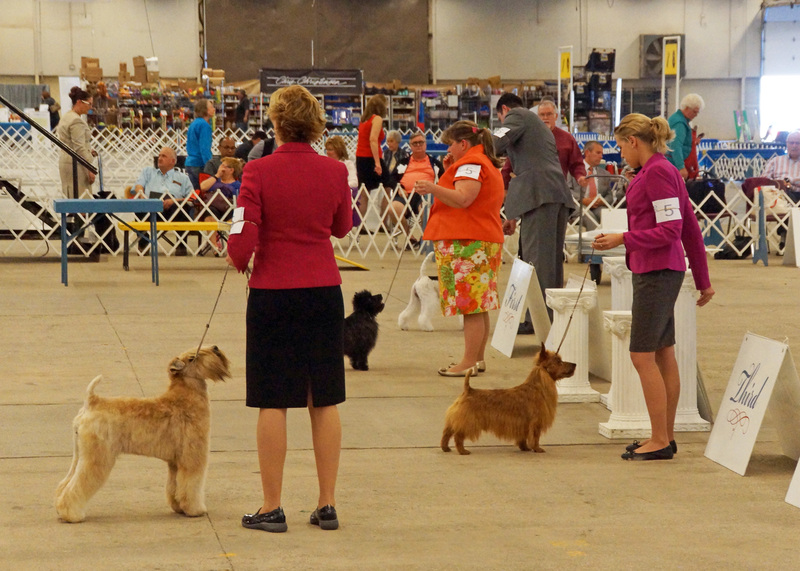 Hatboro Dog Club day 1 under the honorable Judge Mr. William DeVillenuve. 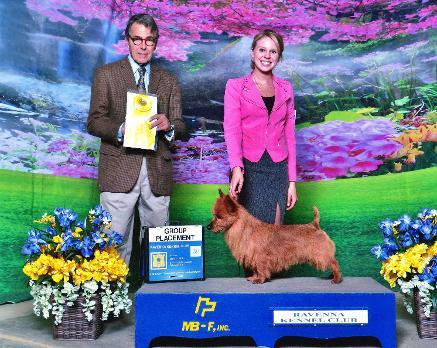 Thank you so much to Breed Judge Patricia Nemirovsky de Alsina from Argentina! 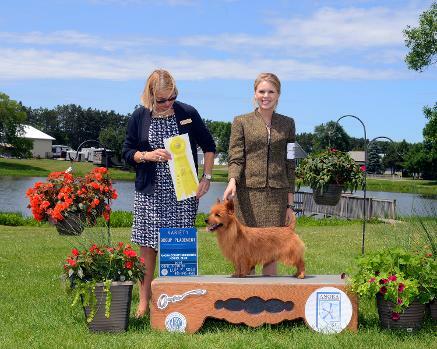 Beautiful entry and a huge honor to be awarded our second BISS! 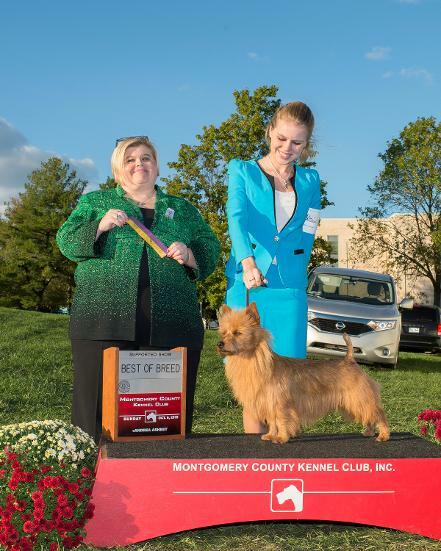 Best of Breed at Montgomery County Kennel Club in Pennsylvania photo arrived today, the largest terrier show in the country, which was awarded to MBIS RBIS MBISS MBIS/NOHS GCHS Dunham Lake Unanimous Decision "Jake"
Thank you to the very respected Judge Patricia Keenan for this great honor. 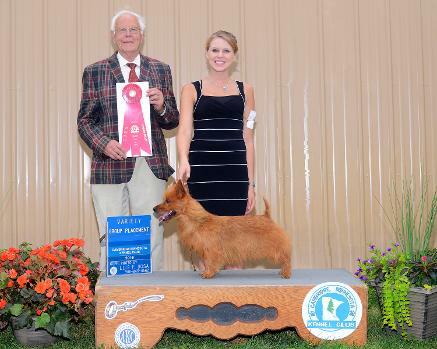 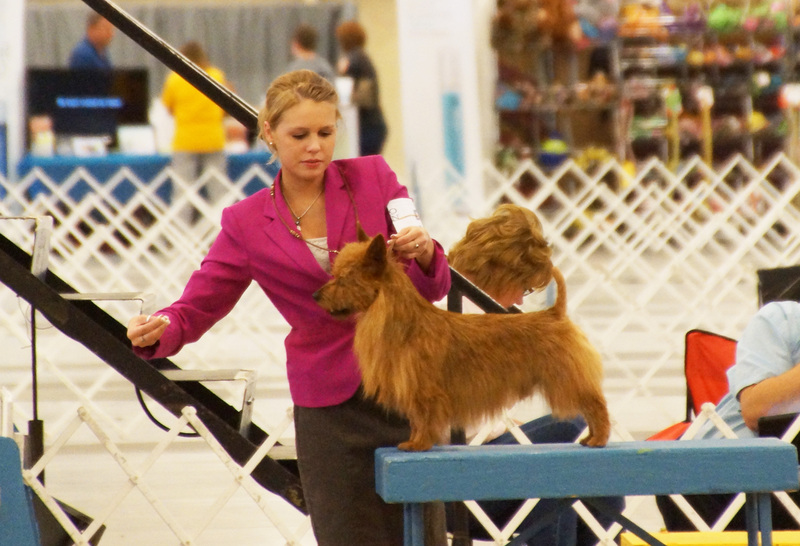 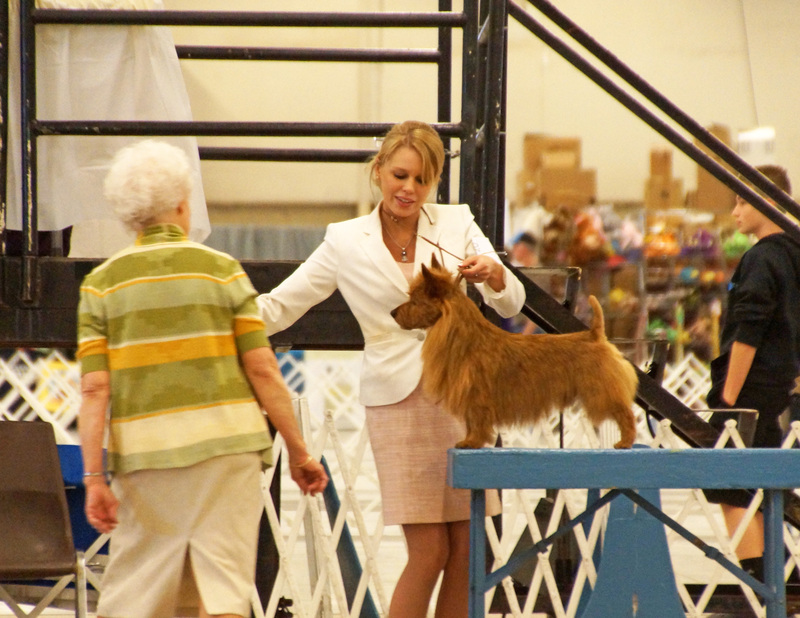 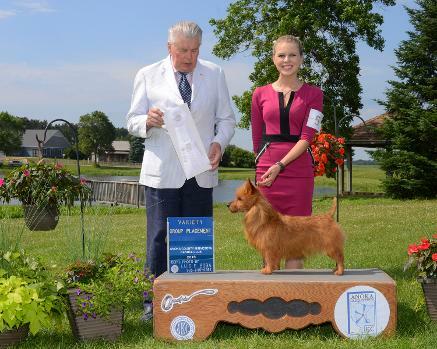 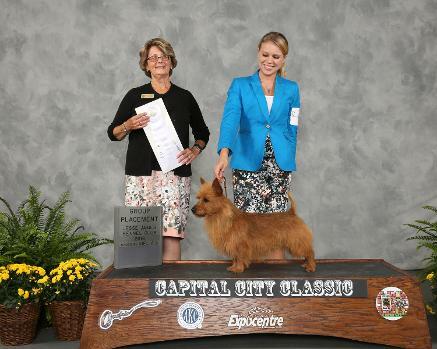 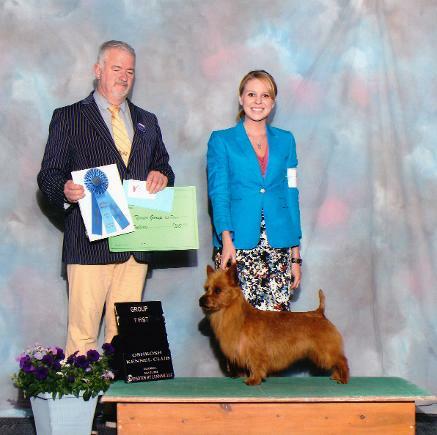 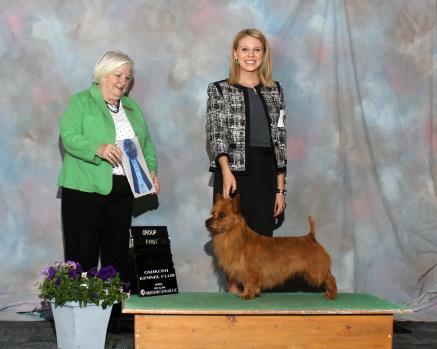 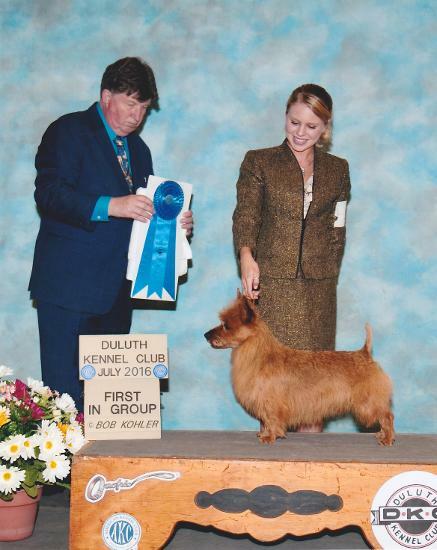 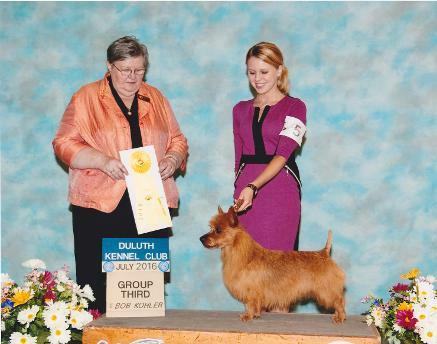 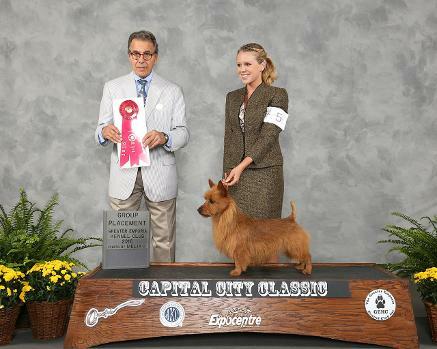 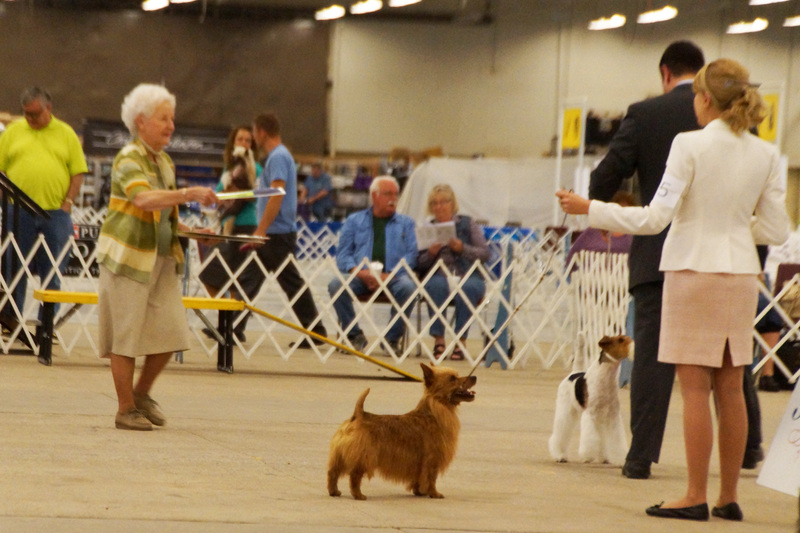 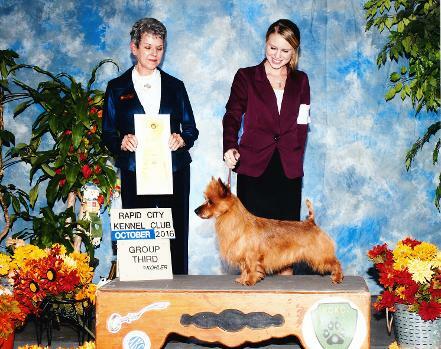 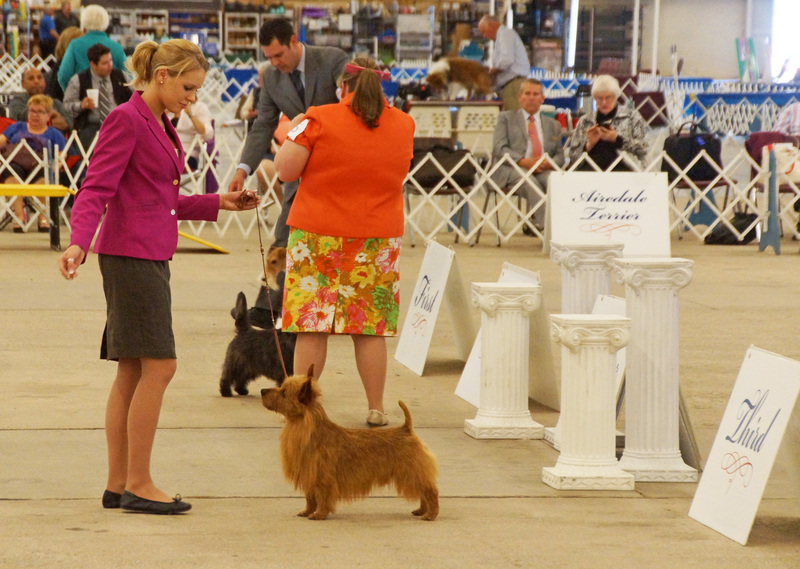 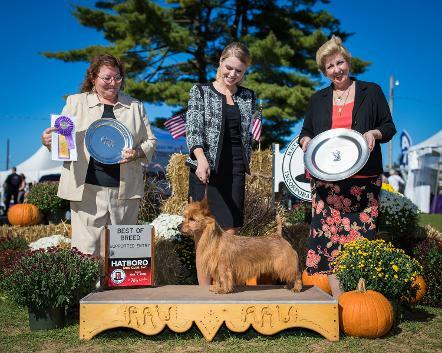 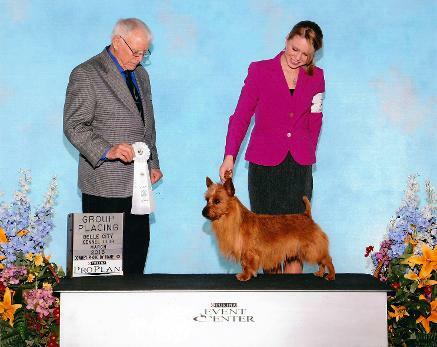 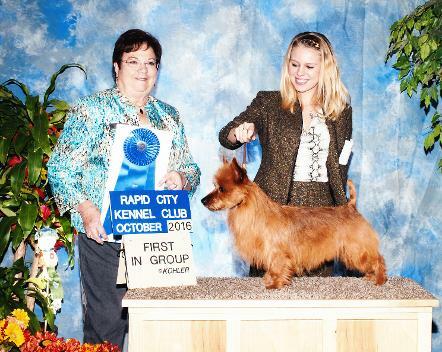 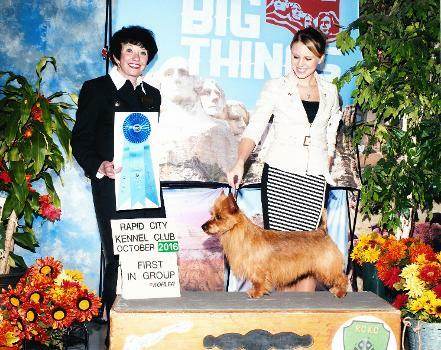 The entry was over 30 Australian Terriers, some of the best Aussies were represented. 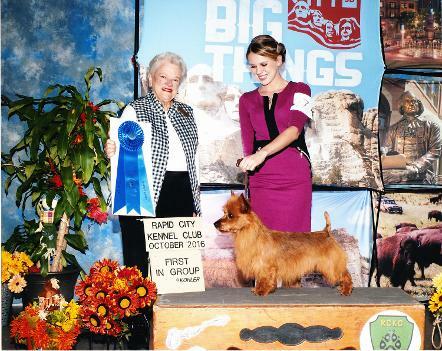 Went on to win Best in Show! 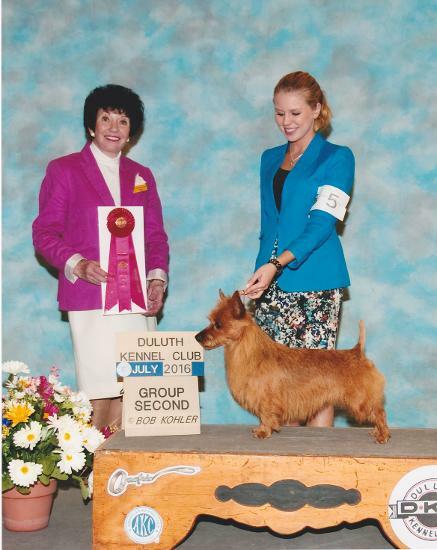 GCH Ch Dunham Lake Goody Two Shoes "Judy" NA, OA and CGC receives new Performance title in 2016 OA! 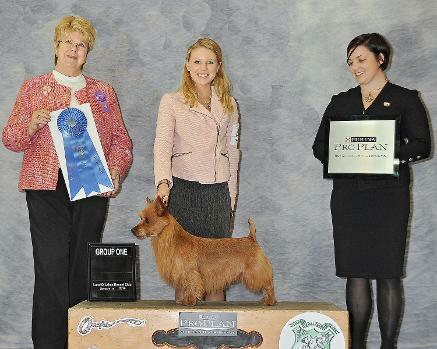 So proud of this dog and her owner Samantha VanBuren!